The Upward Movement originated from Richmond Hill, New York. Band members were George Mangold (Lead Singer), Chuck Newman (Lead Guitar), Bobby Capielo (Hammond B3 Organ), Chuck Frohnhoefer, (Bass) and Manny Cantone (Drums). Chuck Froenhoffer was eventually replaced by Ritchie Barber (Bass) and Manny Cantone was replaced by Adolph Galella. The band was originally called The Sunsets when they appeared at the New York Worlds Fair in 1965. The group played at clubs along side The Illusion, The Rich Kids, The Vagrants, Childe Harold, Jay & The Techniques. Patti Belle & the Blue Bells to name a few. Clubs that they played at included the Action House, Central Inn, Mickeys Part 2, One Eyed Jack, Bay Lounge, Trude Hellers, Peppermint Lounge, Yesterdays, Grassy Point and the Beach House in Long Beach. 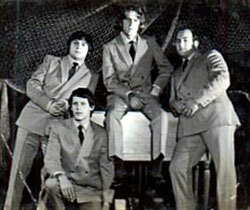 The Hassles (with Johnny Dizek, Richie McKenna, Jon Small and Harry Weber) were a band with perhaps the largest local following yet the worst luck at success. A year later, Jon hooked up with Johnny Dizek, a singer, Richie McKenna, a guitarist and an organist named Harry Weber to form The Hassles. John Dizek reminisced, “Jon Small knew Harry Weber, Harry knew me from a group I was in called The Takers (with Larry Zampino, Bill Tracy, Allen Kahn and Bob Snoody (Ed. note: Thanks to Bob Snoody for the correct line-up.) and I knew Richie McKenna. I met Harry in school. I was sixteen, he was twenty-one and had just come back to high school to get his diploma. He was a real character. Harry had an old car that used to break down all the time. 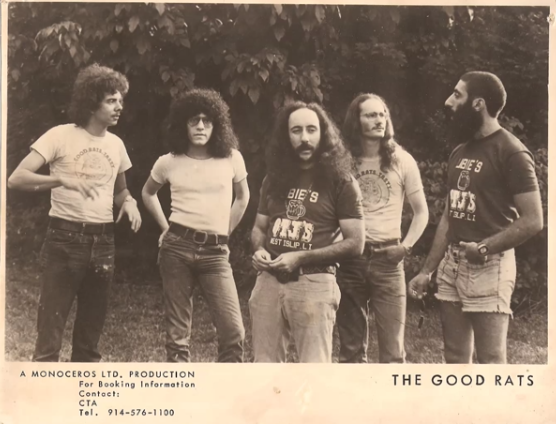 The Good Rats (with Joe Franco, John Gatto, Lenny Kotke, Mickey Marchello and Peppi Marchello) rose from popularity as “the local Grateful Dead” to become a nationally popular boogie band by 1974. On February 7, 1964, when The Beatles landed at Idlewild Airport, a young St. John’s student was there to see the plane arrive. He was so inspired by the event, he knew his world had changed. “I instantly knew what I wanted to do with my life. I wanted to be like them. I wanted to make music,” said Brooklyn-to-Baldwin native, Peppi Marchello. Four years later, Peppi would launch The Good Rats. The Good Rats’ shows were sellouts as audiences ate up their manic stage antics. Known for extended jams as well as Peppi’s bravado vocals as he swung his trademark baseball bat (more like an “air guitar”); the band tossed rubber rats into the crowds while tossing kids off the stage. In 1979, drummer Joe Franco commented on their local popularity: “If the rest of the country was Long Island, we’d be The Beatles.” The Good Rats still command sold out venues each time they reunite. Although some of their albums are difficult to procure, notably the classic, “Tasty” (Warner Brothers 2813, 1974), there are CDs available of their albums. 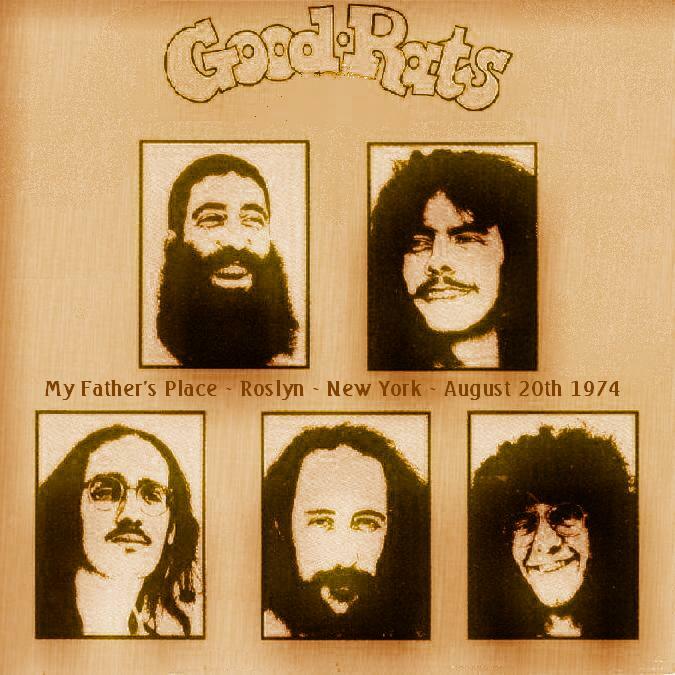 The Good Rats have performed at Madison Square Garden, the Philadelphia Spectrum, the Nassau Coliseum, the Hammersmith Odeon in England, and New York’s Central Park. 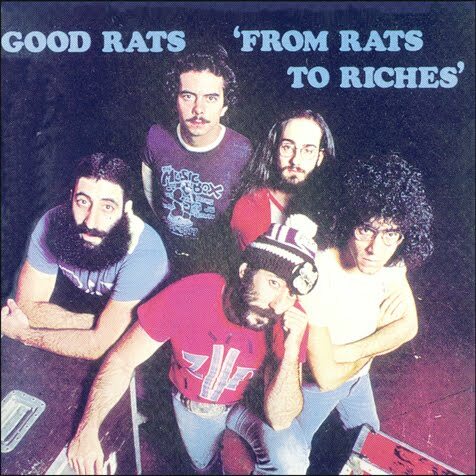 The Good Rats have also played most of the major showcase rooms in the country including the Bottom Line, Paradise in Boston, Whisky in L.A., well… you get the point!They have headlined and opened up for such groups as Rush, Aerosmith, Meatloaf, Ozzy, Grateful Dead, Kiss, Journey, Heart, Springsteen, Styx and many others over their career. The Good Rats have released 8 albums over the past years and have re-issued 6 CD’s that are currently in the record stores and on the radio. The release of their new album ” Tasty Seconds “,has been getting great reviews here and overseas. The new line up includes Peppi Marchello, Gene Marchello, Stefan Marchello and Denis Perry. Childe Harold was born in the Flame Cafe in Ozone Park in the spring of 1967. The band was put together by Bruce Herring (lead singer/front man) who hand-picked the guys from several other bands. The other members were Richie Bora (Hammond B3 and vocals) Dave Cancell (drums) and Tony Petrigliano (guitar and vocals). There was also a bassist for a short time, but he left the group and Richie took up the slack on the B3 bass pedals. The first rehearsal was pure magic with a synergy that was unforgettable. The band then retreated to the basement of Richie’s mother’s candy store on Woodhaven Boulevard for several months to develop its act. Their style could best be described as “Performance Rock” and featured grand arrangements of popular songs which included lights, a fog machine and magnesium flares. The light show was built and produced by Mike Nelson, a friend of Bruce’s younger brother, Gary (they both served unselfishly as road men for the band). Although they never recorded, they were briefly courted by Kama Sutra records. Childe Harold played at all the area clubs: Mickey’s Part 2, One Eyed Jack and Bay Lounge to name a few. They also played many gigs in the city at the Peppermint Lounge, Trude Heller’s, the Electric circus and the Cheetah. They were a regular attraction on the WMCA Good Guy shows in 1967 and opened concerts for the Yardbirds, Kenny Rogers and the First Edition, and many others.